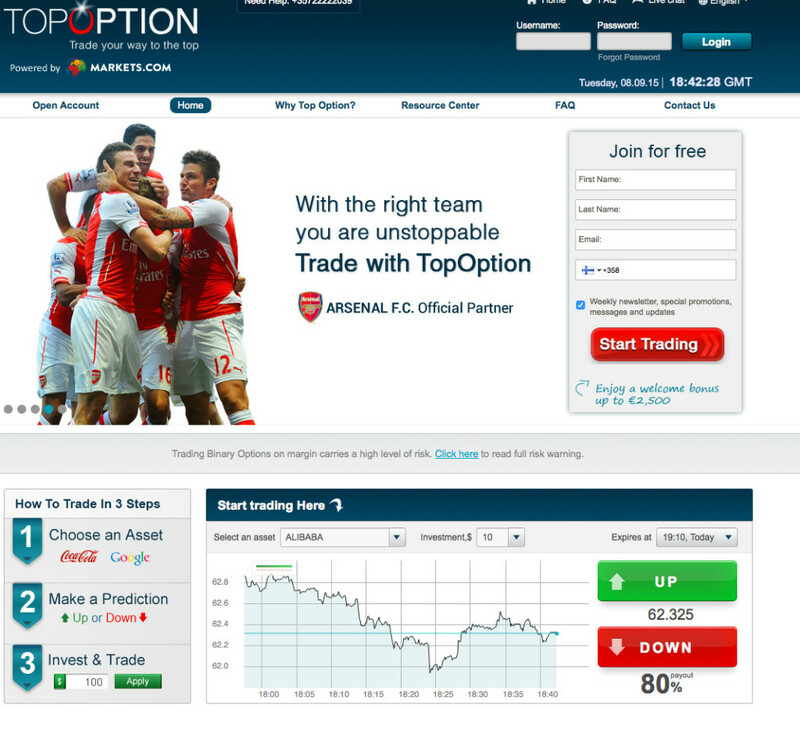 Top news in the binary options market this season is that one of our recommended brokers, TopOption, has changed the owner. Before the transfer, the company had belonged to the online gaming giant Playtech. Following the decision of Playtech to exit binary options business and focus on other aspects of the company’s activity, TopOption was acquired by Leadtrade Ltd. The company is Israeli based and CySEC licensed and operates a few other successful binary options brokers. 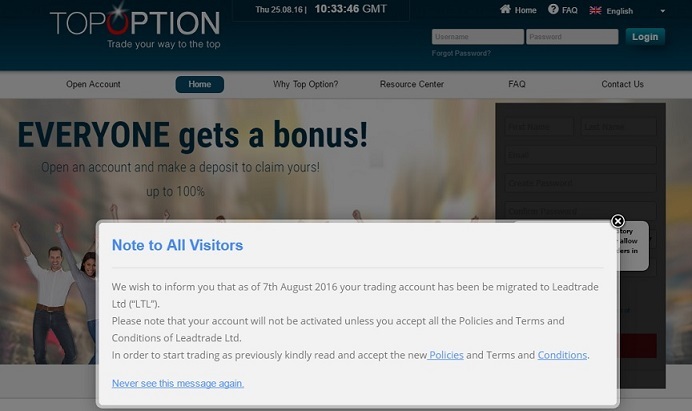 We wish to inform you that as of 7th August 2016 your trading account has been migrated to Leadtrade Ltd (“LTL”). Please note that your account will not be activated unless you accept all the Policies and Terms and Conditions of Leadtrade Ltd. While reporting its Financial results for the first half of 2016, Playtech has reported overall good results with a slight drop in the financial divisions. Online gaming software and gambling giant explained this decreased as a natural result of the restructuring. You can find full First Half 2016 Paytech report following this link. The change had no negative impact on the broker‘s performance. TopOption continues reporting positive results and keeps up the reputation of a trusted and secure service. Letterhead was established in 2015 and is licensed by CySEC as a Cyprus Investment Firm that provides financial brokerage services in relation to various financial instruments. It is also regulated by other European institutions, such as FCA in the UK, BAFIN in Germany, etc. The company has been operating four other binary options brokers before taking over TopOption this year and has proven itself to be a trusted service provider in the financial market. We are wishing our readers to have a successful trading experience using TopOption!